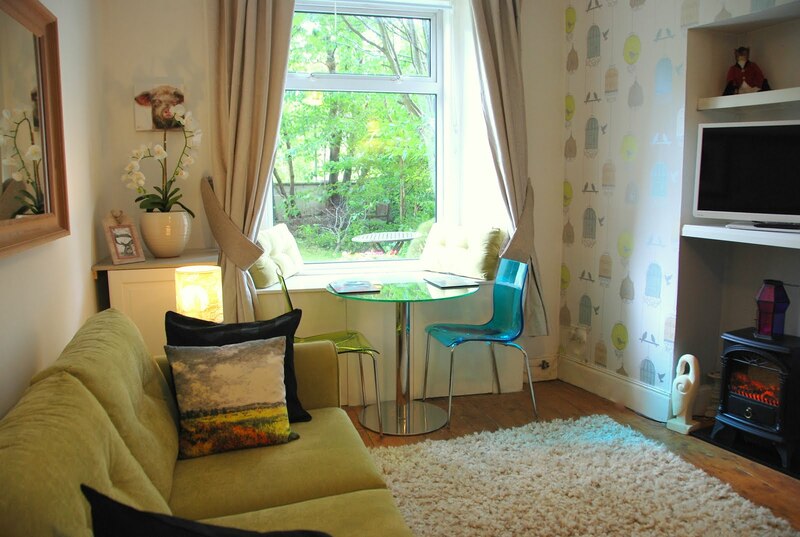 Our newest addition to the Edinburgh vacation rental market is the garden flat. Which we are currently working on redecorating and refurnishing. It's coming along just lovely and the master bedroom is nearly done. Just need the television for in there and it's all set! The flat is located on the doorstep of shops, bistros, restaurants, antiques, parks, yet it's extremely quiet with being located at the back of the building. 2 large picture windows overlook the garden and there is private outdoor seating too. The Garden Flat sleeps 4 people and will be available for rental from late December. Further information on this flat, our Georgian flat and the holiday house can be found at our Edinburgh holiday villa website.